The Savage City Strength Show! Covering all your needs concerning fitness, strength training, gym, life, laughs, advice, and more. Episode 22: 2019 Is Off To A Great Start! 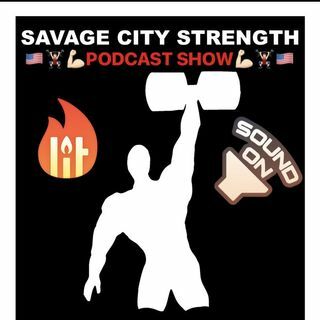 The Savage City Strength Show brings you all things Strongman, Powerlifting, Strength Training, and Fitness in general. We also bring you some laughs, answer your questions, tips, advice, and much much more. Come take a listen!